Comparing the white-mini broiler, Woorimatdag, Silky fowl and Hanhyu-3-ho, researchers in Seoul report some signficant differences in terms of growth rate and breast meat percentage. Local breeds are known to possess favourable characteristics such as resistance to some pathogens, superior meat flavour and taste and high dressing percentage, according to Yun Kyung Choo and Sung Heon Chung of Konkuk University in Seoul. In a paper in International Journal of Poultry Science, they explain that these characteristics lead to higher consumption of meat from local chickens in countries such as East Asia and Europe and consumers are willing to pay a premium for these products. There are four locally available chicken breeds bred for and consumed as a nutritive and medicine food in Korea. 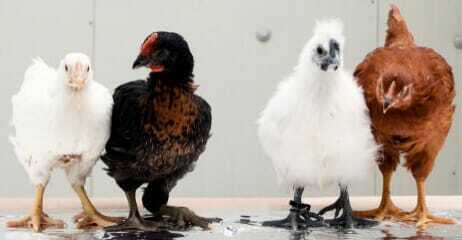 These are White-mini broilers, Hanhyup-3-ho, Woorimatdag and Silky fowl. Due to the increase in consumer preference on healthy foods, there has been strong demand for meat products from local chicken breeds. Choo and Chung introduce the growth and meat characteristics of local chicken breeds in Korea.